Last year, I decided I was going to be one of those people who wakes up every morning and bakes a loaf of bread: I’d sip coffee from a mug in one hand, and I’d knead dough with the other. To this end, I narrowed down on a challah recipe that sounded delicious (I prefer yeasted breads), and asked mum to help me with it. Turns out, you can’t knead dough with one hand, and if you’re a noob, even both your hands are going to feel inadequate (but they’re not! Most of the world makes bread without a stand mixture! I’m just hinting!). I don’t have a stand mixer at my place in Bangalore, so that dream died a swift death. 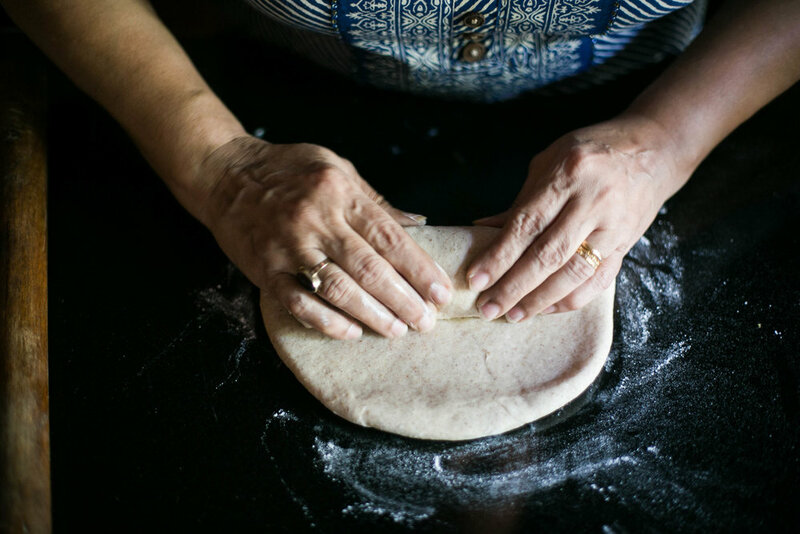 However, every time I’m home in Kannur, I watch mum make a loaf of bread every few days. It doesn’t help that her recipe changes every time, and gets confusing to keep up with, but she is definitely a bread whisperer and watching her in action is a joy in itself. The last couple of times, she’s been tinkering about with a recipe for multigrain bread using the Six Grain Flour from Conscious Food. The flour contains brown rice, ragi, bajra, jowar, bhatwan and jav and is available at organic stores and also on their website. We’ve been adding a seed mixture on the top for some added texture — those of you who don’t like crunchy things in your bread can leave this out, but it adds a certain nuttiness that is pleasant! One of the things I don’t enjoy in a multi-grain bread is a dense crumb. However, this one is lighter, and like all breads, is at its crispest and aireist when toasted. We’ve been eating it topped with sour cream, preserved tomatoes or anything savoury, really. A bag of Six Grain Flour makes about 7 loaves, enough to play around with different variations of toppings. Maybe the next one, I’ll convince mum to add olives and jalapeños! Bring water to a boil and add to the flour in a medium sized bowl. Mix with a spatula, knead into a ball, wrap and keep in cling film overnight. Add all the ingredients except the butter and the six grain dough to the bowl of a stand mixer. Start mixing and slowly add in the six grain dough till it is fully incorporated. Now add the butter and continue mixing for 10 minutes. This process can be done by hand as well. 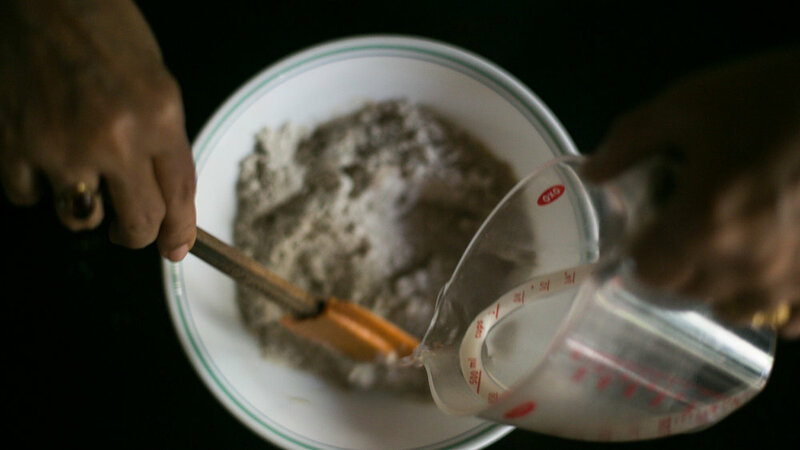 Simply transfer the dough (after incorporating the butter and six grain mixture) onto a floured surface and knead well until the dough becomes soft and pliable. If the dough is too wet to handle, add a little flour (starting with a tablespoon). However, too much flour makes the dough dry and stiff, so try to use as little extra flour as possible. Grease a large mixing bowl with oil, and put the dough in it. Cover and let it rise in a warm corner of your kitchen for 60-90 minutes. Take the dough out, roll it into a 4x6 inch rectangle. Roll from the short end, like you would with a swiss roll (refer to pictures above). Pinch the edges to seal them. Using a brush, lightly give the top of the dough an egg wash. 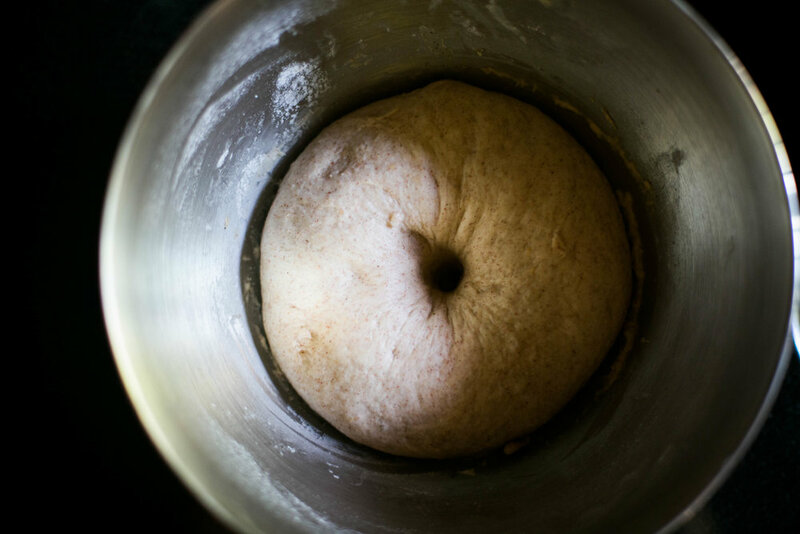 Roll the top of the dough on a plate that has been lined with the seed mixture. 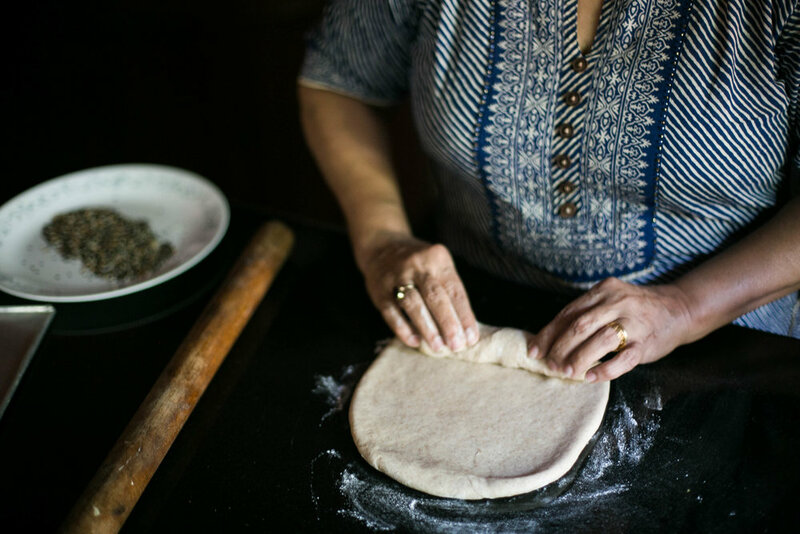 Using a knife or a bread lahme, gently score the top along the length of the dough. Carefully insert the dough into a lined loaf tin (20 x 10 cm). Cover and let it rise for 1 hour. Preheat the oven to 200 degrees Celcius. When placing the dough in the oven, reduce temperature to 180 degrees and bake for 30 minutes. Remove from tin and let cool on a rack. This post is sponsored by Conscious Food.